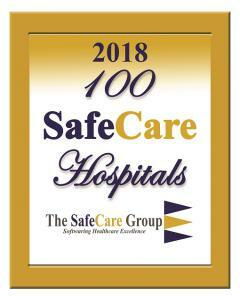 LEXINGTON, KY, USA, April 20, 2018 /EINPresswire.com/ -- For the third consecutive year Park Nicollet Methodist Hospital was recognized as a 100 SafeCare Hospitals® by The SafeCare Group® for low infections, low readmissions, low complications, high patient satisfaction, and high value. 100 SafeCare Hospitals have achieved an exemplary level of performance in the comprehensive, evidence-based metrics of the Centers of Medicare and Medicaid (CMS) value-based program (HVBP), readmissions reduction program (HRRP), and acquired complications reduction program (HACRP). Hospitals that perform poorly on these quality, safety, and efficiency metrics receive a financial penalty from the government. 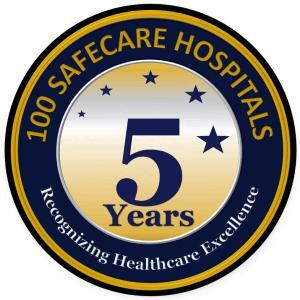 Only about two percent of US hospitals earn the prestigious 100 SafeCare Hospitals® distinction, and the top 50 hospitals represent the top one percent of US hospitals for excellent performance in the evidence-based metrics of HVBP, HRRP, and HACRP.